If a route has been uploaded to Wikiloc, it will be available both on the Web and App. App routes can be "Saved" on your device to be used offline. 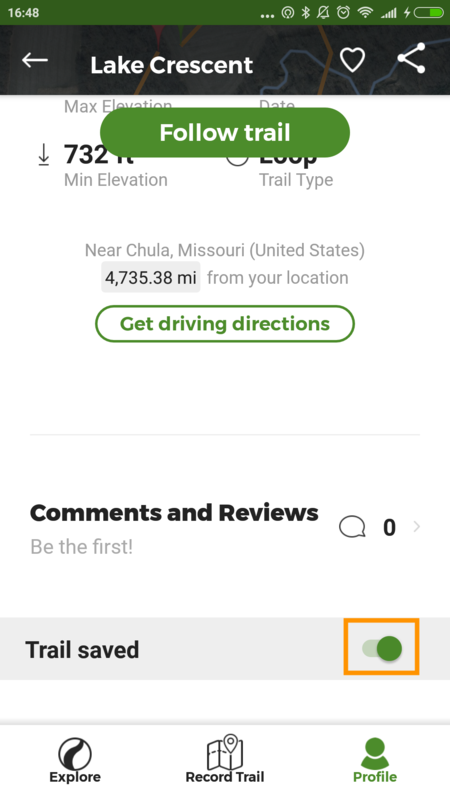 Those will appear in the "Saved Trails" section of the "Profile" tab of the App. If you, for example, want to erase the file from your device (due to lack of space), you only need to uncheck the "Trail Saved" check from the Trail tab. If you want to eliminate the route from all sources, you will have to go to the Web and do it from there.